Likely to be a road-legal equivalent of the GT4 race car. The Mercedes-AMG GT family has nicely blossomed since the introduction of the sports car back in 2014. There are now multiple versions to choose from depending on your budget and whether you want it to be more road-friendly or a track machine. Both coupe and convertible body styles have been engineered, but only the one with the fixed roof can be had in the mighty R specification. It can be seen here going hard on the Nürburgring testing some upgrades that will be implemented in an even more intense version. 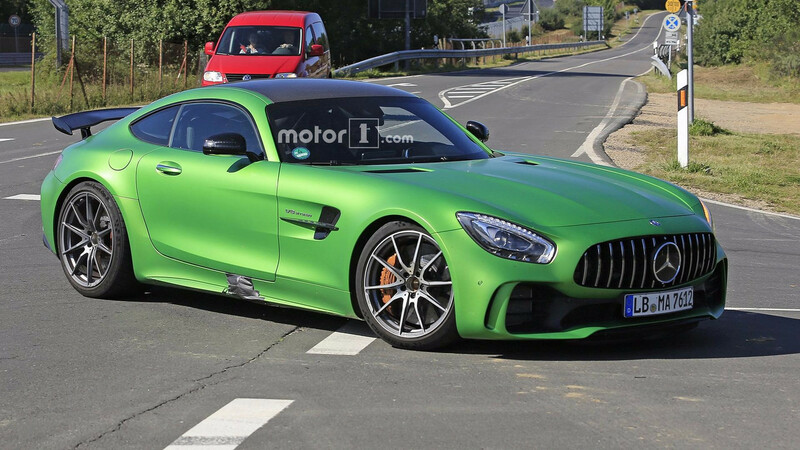 While Mercedes-AMG has confirmed a Black Series is on the agenda, it also mentioned that it will be out towards the end of the GT’s life cycle, so it’s safe to say this isn’t it. We are likely looking at a road-going equivalent of the GT4 race car introduced several months ago. The prototype spotted recently on the Green Hell is the same one our spies caught on camera at the end of August. Wearing the Green Hell Mango color from the R version, the test vehicle has the exhaust tips relocated towards the sides of the rear bumper between the vertical fins of the diffuser in the same vein as the track-only GT4. We also know for a fact the prototype features a polycarbonate rear window and that means a weight loss is being prepared. The interior hosts a roll cage, but it’s not known at this point whether the production model will have one as well. Over the years, we’ve seen even humble cars such as the Kia cee’d testing on the Nürburgring with a roll cage, so it doesn’t necessarily mean the Mercedes-AMG GT4 (or whatever it will be called) will have this setup. Seeing as how it will be even more track-focused than the R, we won’t be too surprised if it will be there like it’s the case with the Porsche 911 GT2 RS. 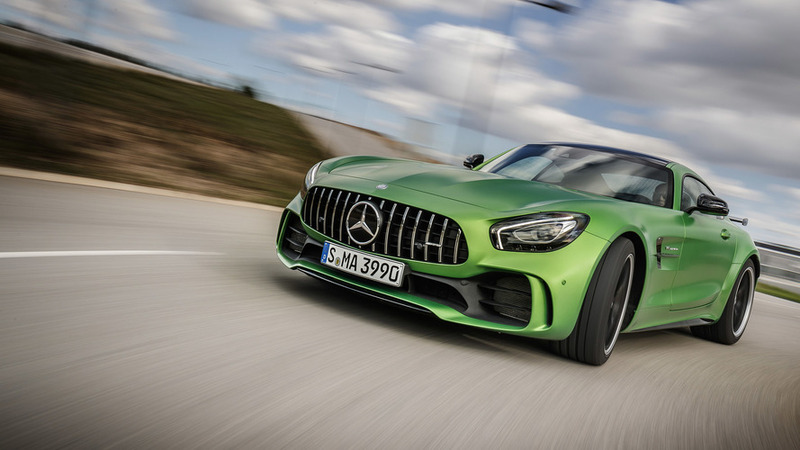 Some aerodynamics tweaks are also in tow for the meaner Mercedes-AMG GT and these might be complemented by a bump in output for the biturbo 4.0-liter V8. The R has 577 horsepower on tap, but the same engine inside the E63 S can push out a healthy 603 hp. In other words, the GT4 could benefit from the highest specification of the AMG engine. As to when Mercedes will decide to unveil the car, our money is on a reveal at some point in 2018.